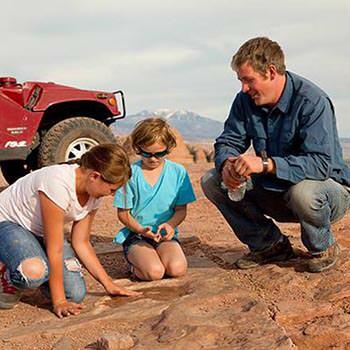 "Moab offroad 4X4 tour a great experience!" Our guide/driver, Mike, on the Hummer Grand Safari was one of the best guides I have ever had the pleasure of experiencing. He was very knowledgeable of the area and an excellent driver. We would recommend him and the Moab Adventure Center to anyone. I did the 4-Hour Hummer Grand Safari. This was a GREAT experience. Our guide was extremely knowledgeable. He shared his joy of Moab and the outdoors. I would definitely suggest both the Moab Adventure Center and our guide to anyone visiting the area.